I claimed I would never make truffles as a present. I lied. 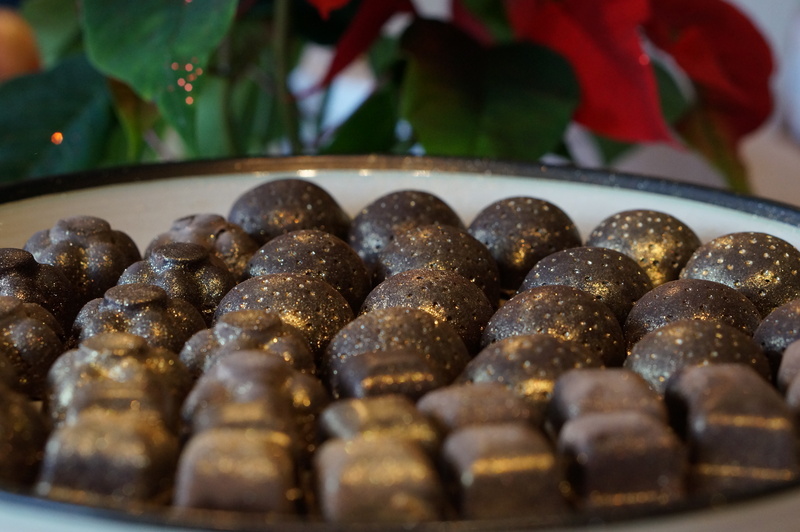 Trufflicious, and beautiful. Score 1 for science. 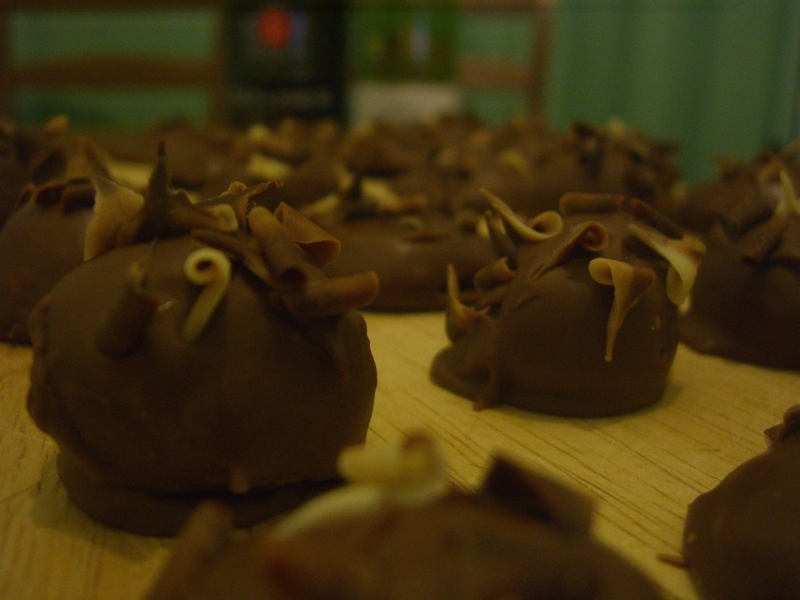 These are the same recipe as the previous truffles, with only one difference: I used a chocolate mould. (Actually an ice-cube mould, but who is to know?) Instead of fighting the cooling of the mixture, simply pour some chocolate into a mould, smooth it around the edges, then leave to set. Then pour in some truffle mixture and leave again. Finally add a chocolate layer to seal the truffle inside. The end result tastes the same as hand-crafted variety, but is infinitely easier to present well! I also tried some variation here. 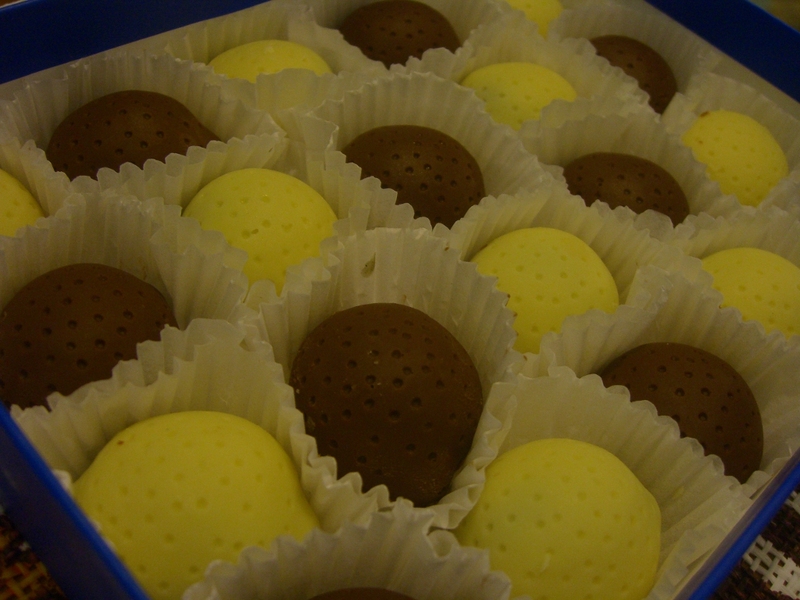 Notice that there are white and milk chocolate truffles. Much to my dismay, the white chocolate ones were a little too sweet since the truffle mixture is also filled with condensed milk. They weren’t bad, but not as good as the milk variety. However, more successful was cherry brandy flavouring – a dash or two in the truffle mixture lead to a divine melting on the pallete, and Tia Maria worked as well. Recipe: See my previous post.